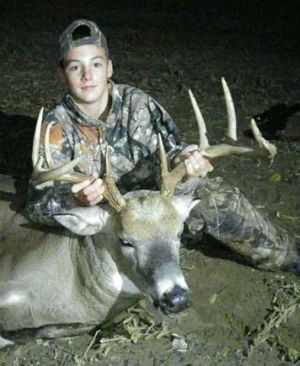 Justin Smith shot this big wide antlered buck on October 16, 2016 on the second day of the NYS Youth Hunt in Ontario County. 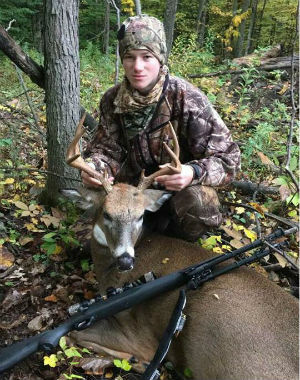 Dante Geislinger (right), age 14, took this beautiful 8-point in Chenango County on Oct. 9, 2016 during the NYS Youth Hunt with his 30-06 at 120 yards. 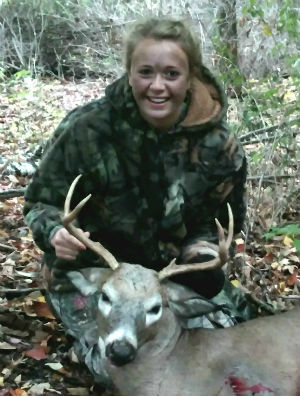 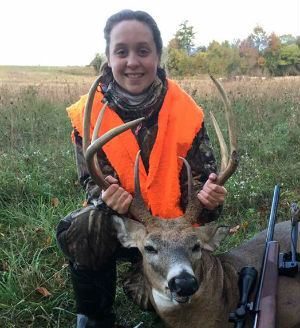 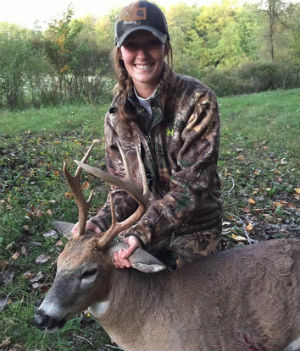 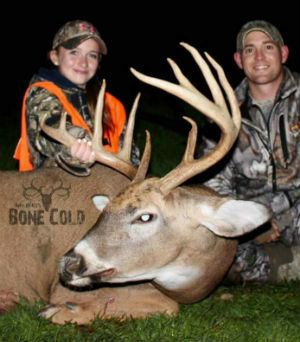 Meghan White (left), age 14, took this impressive first buck in Steuben County on Oct. 9, 2016 during the NYS Youth Hunt weekend. 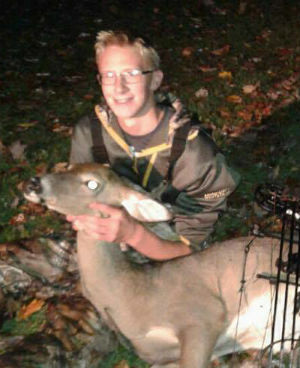 15 year old, Gavin Weed, shot this 7-point during 2016 NYS Youth Hunt in Southport, NY... Chemung county. 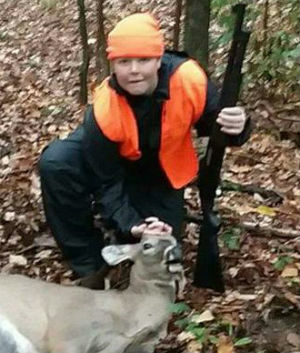 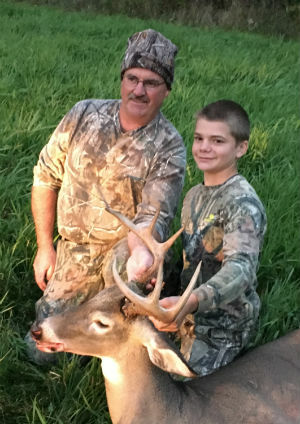 Ray Scheesley Jr. with his first deer ever taken during the NYS Youth Hunt on Oct. 8, 2016 in the Town of Andover, NY... Allegany County with his dad, Ray. 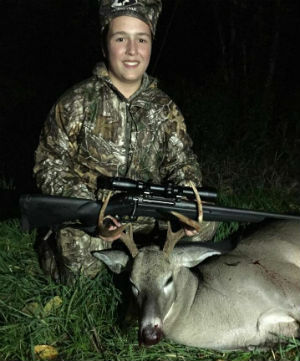 Tim Frisbee, age 15, shot this buck during the 2016 NYS Youth Hunt in Monroe County on October 8, 2016. 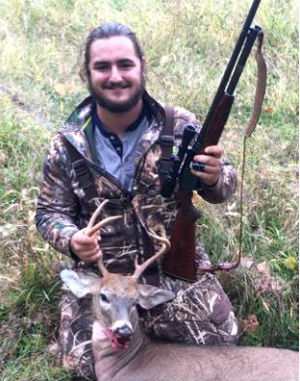 He was shooting a 16 gauge Winchester model 12. 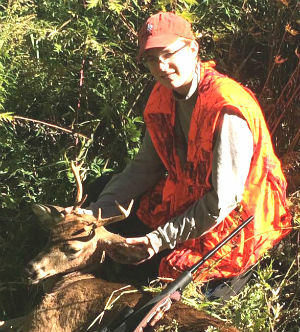 Guns over 90 years old. 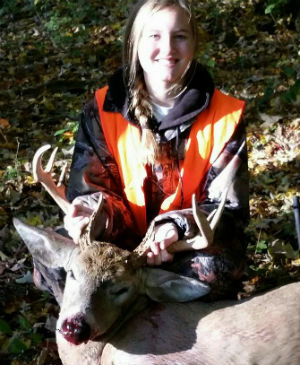 Alicia Marie Gee got this beautiful buck in Otsego County (4f) on 10-10-2016 during the NYS Youth Hunt. 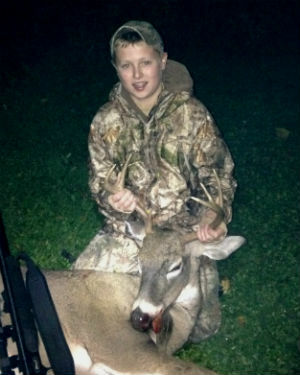 Nicholas Sacco got this 8pt buck during the NYS Youth Hunt on 10-8-2016 in Almond, NY... Allegany County at 175 yards with his rifle. 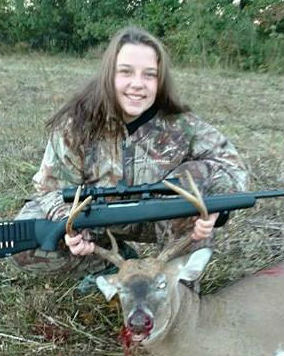 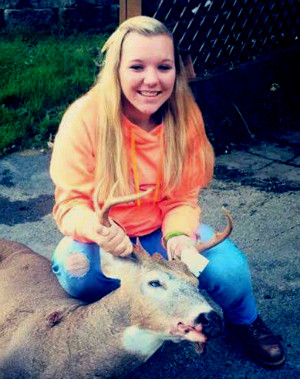 Kalyska Payne shot her first deer on 10/9/2016 in Savona, NY... Steuben county during the NYS Youth Hunt.